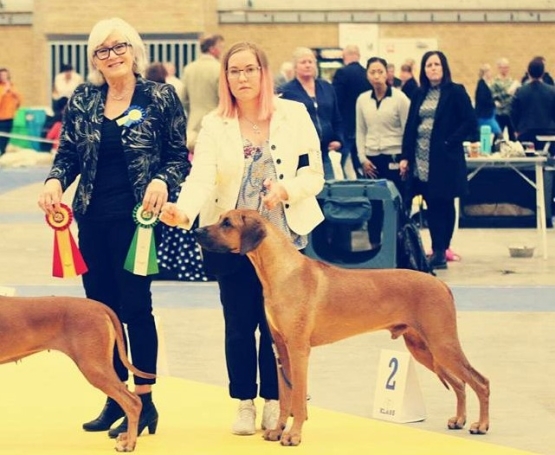 Yesterday handsome SEUCH NUCH DKUCH BISS-13 DKW-16 NORDW-16 Kadamo Johnny Walker "Loke" (from the Drinks-litter, Moa x Argos) was shown at the International Dogshow in Sundsvall. He finished first 2nd Best Championmale with CQ but in Best Male stepped up and became best male with another CACIB! Only one more country and CACIB needed now for his CIB title!